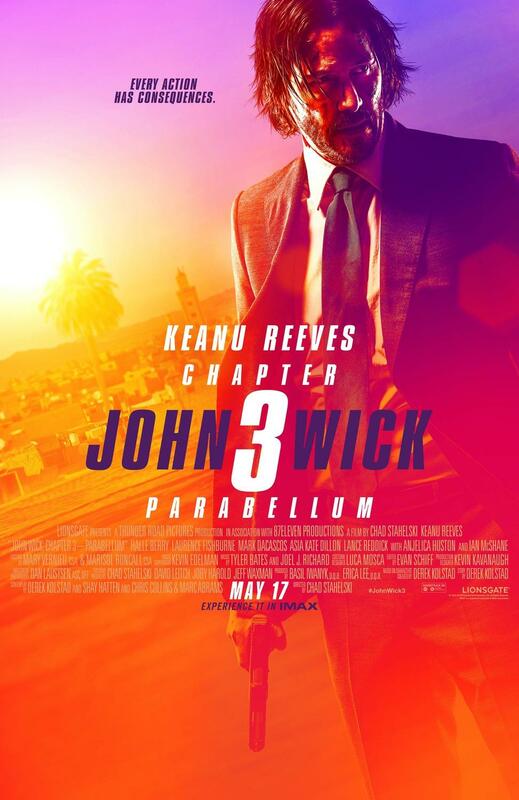 John Wick 3 tickets are now on sale which includes a download of the first or second movie. "You have 48 hours. Secure your seat to #JohnWick3 now to receive a free download of JOHN WICK or JOHN WICK: CHAPTER 2. Get tickets: Link in bio," the official movie's Instagram posted with the following promos. Head on over to tickets.johnwick.movie. You have 48 hours. Secure your seat to #JohnWick3 now to receive a free download of JOHN WICK or JOHN WICK: CHAPTER 2. Get tickets: Link in bio. The film has a May 17, 2019 release directed by Chad Stahelski, with a screenplay by Derek Kolstad and Shay Hatten and Chris Collins & Marc Abrams, with the story and characters by Kolstad, and also stars Halle Berry, Laurence Fishburne, Mark Dacascos, Asia Kate Dillon, Lance Reddick, Saïd Taghmaoui, Jerome Flynn, Jason Mantzoukas, Tobias Segal, Boban Marjanovic, with Anjelica Huston, and Ian McShane.